David Redhage is an agricultural economist. Prior to becoming President, he served as Chief Program Officer, planning and managing educational programming at the center, and then as Vice-President. He has been instrumental in setting up various riparian area management demonstrations, forestry projects and pollinator conservation projects on the Kerr Center Ranch. David is also the program manager for the USDA’s Sustainable Agriculture Research and Education Program Professional Development Program, Southern Region (SSARE PDP). 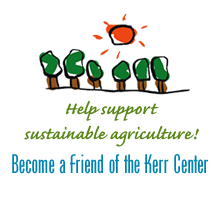 The Kerr Center manages this program, which provides training grants in the Southern SARE region and works with the thirteen southern states, Puerto Rico and the Virgin Islands on sustainable agriculture. 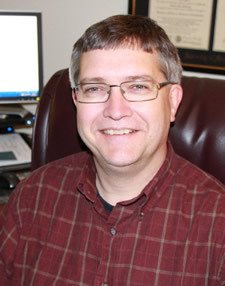 His responsibilities include coordinating the annual grant process (releasing the call for preproposals, setting up grant reviews), reviewing and approving final grant reports, and reporting twice a year to the Southern Region SARE Administrative Council. David came to the Kerr Center in 1993 after receiving an M.S. in Agricultural Economics from the University of Missouri-Columbia. He became President at the beginning of 2016.